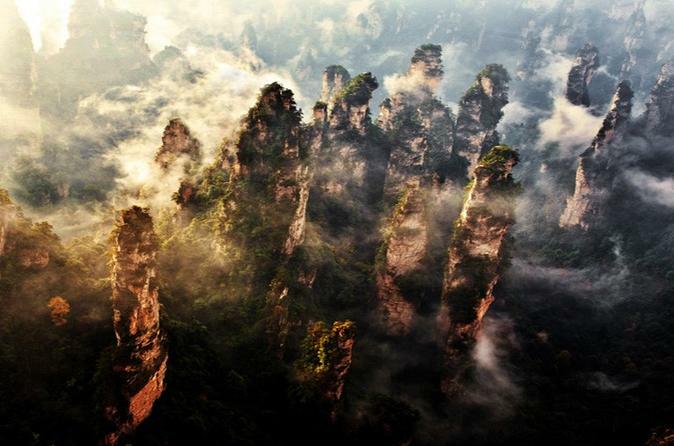 Do you know the Hallelujah Mountain in the movie Avatar is inspired by the famous Zhangjiajie National Forest Park? 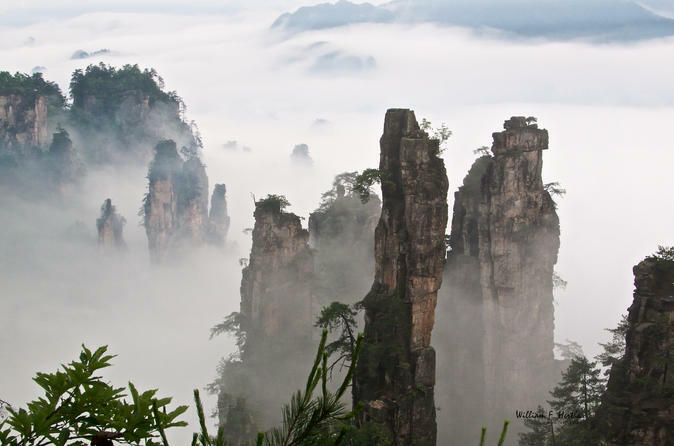 Zhangjiajie National Forest Park is a World Heritage Site enlisted by UNESCO. 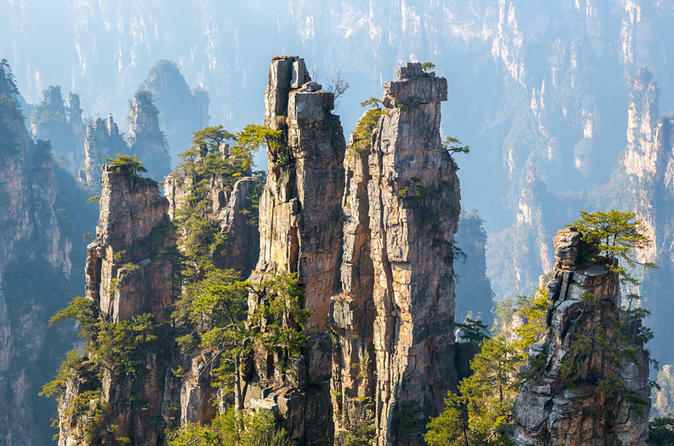 We will help you make the best use of your time and energy to see the most beautiful attractions of Zhangjiajie National Forest Park – Yuanjiajie Scenic Area and Tianzi Mountain. Find out in person why it was such an inspiration! Explore some of the most beautiful attractions Zhangjiajie has to offer and a trip through Zhangjiajie Natural Forest Park. Appreciate the unique natural landscape with four days of sightseeing including Enshi Grand Canyon, Baofeng Lake, Tianmen Mountain, and many more. Amaze yourself with incredible aerial views of the city from the mountain top at the very essence of this UNESCO listed World Heritage Site. Seize the opportunity to immerse yourself in real life movie set of Avatar and join this 4-night in-depth adventure in Zhangjiajie. 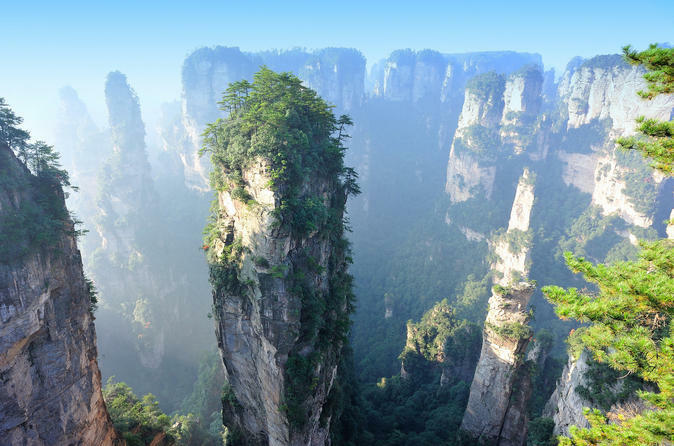 You will visit Zhangjiajie National Forest Park, China's first national forest park and part of a much larger Zhangjiajie Sandstone Peak Forest National Geopark that was listed as a UNESCO Global Geopark in 2004 and inspired the 2010 movie, Avatar. 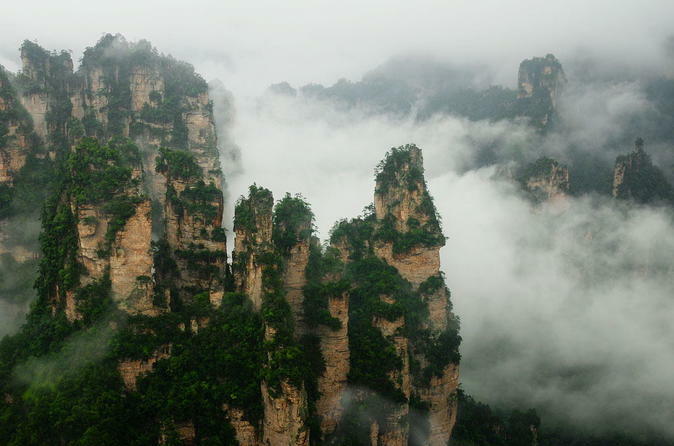 Zhangjiajie National Forest Park is the most famous park among China’s best national parks. This 3-night tour will take you to explore top attractions including Golden Whip Brook, Baofeng Lake, Yuanjiajie Mountain, Bailong Elevator, Tianzi Mountain, and the Ten-mile Natural Gallery. Your knowledgeable private tour guide will provide you a comprehensive overview of the attractions in this beautiful park which inspired the backdrop of the movie, Avatar. You will also sample authentic Chinese food during this tour. Join us for this unique day tour to ride the world’s longest cable car from city center directly up to the famous Tianmen Mountain. On Tianmen Mountain, admire peculiar sandstone peaks and feel your adrenaline pumping while walking on the suspended glass walkway at 4,691 feet high. 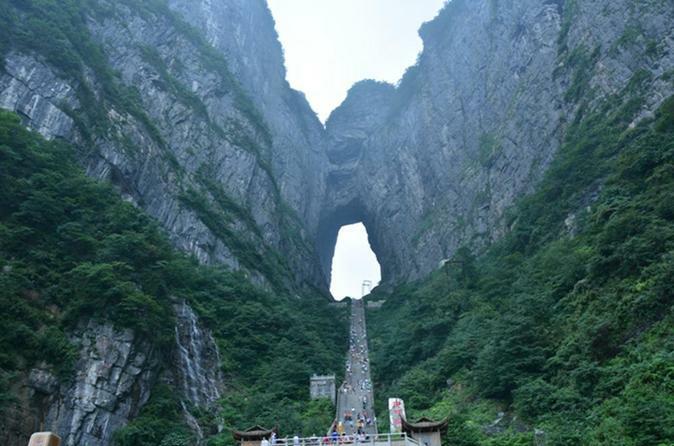 Tianmen literally means 'Heaven’s Door' in Chinese and, after 99 bends of winding mountain road, try the 999-step stairway to reach 'Heaven's Door'. Enjoy this two-day tour of sightseeing in Zhangjiajie and visit top attractions including the Tianmen Mountain, Tianzi Mountain, Avatar’s view finder, the First Bridge under Heaven. Your friendly, knowledgeable private guide will give you a comprehensive overview of this fascinating city, and you'll taste authentic Chinese cuisine at several local restaurants.